This is not something we like to think about, especially when it comes to our own partners, however, cheating is something that happens daily to any age range. Before jumping to conclusions and accusing your partner which may very well lead to a destruction of the relationship, you may want to assess everything properly. So what signs should you notice when suspecting your partner of possibly cheating on you? When someone has done wrong, they often do everything they can to cover up their guilt. If your partner has suddenly decided to act extremely affectionate towards you (no anniversary or birthdays in sight) you may want to question it. However, you need to remember to nudge your partner in a way that isn’t offensive. 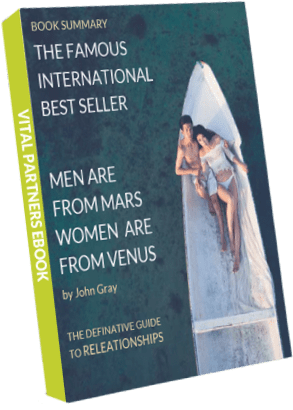 Maybe your partner may feel distant from you and want more closeness – this isn’t the only sign that your partner is cheating so please, let’s make this clear. This is quite possibly the biggest red flag when it comes to cheating in this day and age. With all the social media accounts that allow people to cheat, there’s nothing more suspicious than your partner suddenly hiding their phone activity – turning away from you when on their phone, having a password, deleting browsing history etc. The best way to figure this out is ASK. We highly discourage partners from snooping – this can really break trust between the relationship. If you are curious, you simply need to ask them for the truth. If your partner is talking to their ex, you need to have a serious discussion about this. If your partner is the type of person who stays friends with their partners, and you are okay with this, then it shouldn’t be an issue. However, if your partner has been talking to their ex without you knowing, this raises red flags as well. If you feel something is off in the relationship, it may be your gut instinct telling you something is wrong. Sometimes, people are so great at hiding the evidence of infidelity however you cannot hide the way your body feels. If this is the case and you find out that your partner is cheating, you need to stay calm. Let the anger subside for a day or two and then face the music. In the middle of angst, you don’t want to say or do anything you may regret. At the end of the day, you know what’s best for you, so listen to your gut and head. If you and your partner express PDA quite openly and this suddenly changes, you need to question this. They may be pulling away emotionally and physically – so this starts with public displays of affection, then move to intimacy issues. Any sudden change in behaviour that is unexplained needs to be discussed openly. At the end of the day, if your partner is cheating on you or you suspect them, you need to talk to them. Open communication is the most important thing when it comes to relationships. PreviousPrevious post:They live too far…NextNext post:Thinking About Marriage?